As the times change, the way we get our news and entertainment changes as well. Every day there is a new website or social network to check out and be a part of. I can't help but wonder, are these new media outlets taking viewers away from traditional media such as newspapers? Apparently, the writing is on the wall. Social networks are becoming more and more popular. In a recent post, blogger Brian Solis commented on the increase in social networking. "Two thirds of the world's Internet population visit social networking or blogging sites, accounting for almost 10% of all Internet time." Many people are trading traditional media outlets, such as newspapers, for media outlets of the Internet age. Why pick up a paper or turn on the news when you can simply look it up online? According to blogger Sally Falkow, this change is strongly affecting newspapers around the country. 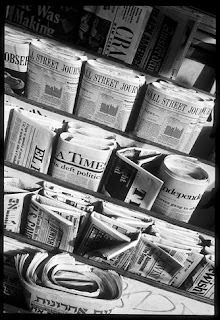 Falkow explains how many papers have already gone bankrupt, including the Rocky Mountain News, the LA Times and the Chicago Tribune. What next, television networks? Many feel it is possible that local television networks could be the next traditional media outlet to go. Tom's Guide explains, "media outlets are scrambling to reach that new viewership to accommodate for a changing industry." If traditional media outlets want to succeed, they will have to keep up with audiences who are more geared toward online networks to receive their entertainment and news. We are all aware of our country's current economic state and the negative impacts it is having on the job market. Highly trained professionals are losing their jobs and less positions are up for grabs. So, what can a public relations graduate do to be successful during this historical economic crisis? Blogger, Ryan Anderson offered some helpful tips for the entry level public relations individual in a recent post titled, "Working the Bottom Rung". Three of Anderson's tips especially stood out in my mind. While they may seem obvious, I feel that they are often overlooked. "When I started in the industry, one of my team leaders gave me a piece of advice I've given to every junior PR person I have worked with." That piece of advice? Be reliable. Anderson explains the importance of building a positive reputation for yourself in the area of reliability. In order to earn more responsibility and respect from senior members of an organization, you have to prove your ability to complete any task placed before you. Anderson's second tip is to pay special attention to detail. "It's not enough to merely get the job done." If your work is not excellent, you are creating more work for the individual who must correct your mistakes. It is important to proofread and double check your work prior to submission. "Assume whatever you provide to your superiors will be sent to the client unchecked." The third tip from Anderson that I found particularly helpful is to "enjoy the grunt work". While photocopying and data research are not the most riveting tasks, they must be completed. Why not complete them with a smile on your face and determination to deliver them well? Not only will this help you to appreciate the tasks, but it will show those around you that you are taking the work seriously. While it is important to take Anderson's advice to heart, there are other important tips to consider. During my last year of college, I have begun to learn the importance of social media skills. Social media outlets such as facebook, twitter, and blogging are exploding. I feel it is crucial for any junior public relations individual to become confident and comfortable with social media. These skills are in demand, so why not capitalize on them? If you are truly passionate about public relations and have a drive to succeed, you will. As long as you are willing to work hard and excited to learn, then I believe nothing can hold you back. Every day we make decisions. While the majority of those decisions involve our day to day activities, some of them are more serious. Each of us is faced with the challenge of making ethical decisions at one point or another. These situations challenge our integrity and force us to act according to our values. In the world of public relations, making ethical decisions is a common task. I have read and heard many common theories on ethical decision making, most of them quite similar and intuitive. 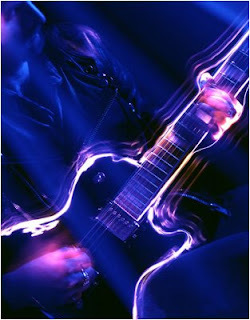 In a recent post, however, on the Ruder Finn Ethics Blog, Emmanuel Tchividjian brought a new theory to my attention. In his post, Tchividjian considered and analyzed the affects that shame has on ethical decision making. He believes that shame or the fear of shame can play a huge role in making decisions that are ethically sound. While I agree with Tchividjian, I believe this particular approach to making ethical decisions is a bit backward. I believe one should want to make ethical decisions because it is the right thing to do, not out of a fear of shame. If you are making ethical decisions based off of others opinions of you actions, then what is the true purpose of acting ethically? While shame does play an important role in making ethical decisions, it should not be the only one. 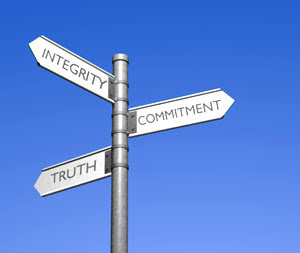 It is important to consider your values and challenge yourself to act with integrity, purely because it is the right thing to do. Walking into an interview can be stressful and intimidating, but there are things you can do to be successful. While interview skills take time, confidence and practice to master, they are well worth the effort. In a recent blog post on Penelope's Trunk, Penelope discussed her tips for a positive interview experience. Her first tip is to be interesting. Penelope explained the importance of giving an answer that is "entertaining and thought provoking". Penelope's second tip is to be short. 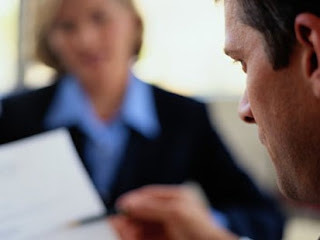 Interviewers are busy individuals and it is important to keep your answers concise. By answering briefly and to the point, you are more likely to maintain the interviewer's attention and remain interesting. Penelope's last tip is to remain conversational throughout your interview. You want to be relatable in an interview so you do not sound scripted. Being conversational is also important because it shows the interviewer that you are interested in them as much as they are interested in you. While my interview experience is limited, I have a few tips of my own. First, do your research prior to your interview. It is important to bring your confidence, experience and also a knowledge of the organization you are interviewing with. It is also important to prepare questions of your own before an interview. Doing this will demonstrate your interest in the organization and keep the interview conversational and interesting. Lastly, be yourself and relax. Don't let your nerves get the best of you and always remember to smile. I recently began the process of updating my resume. While this sounded easy to me at first, I quickly realized how challenging it can be to make your resume unique and interesting to read. After meeting with teachers and getting advice from friends, I was a bit overwhelmed with information. In the end I learned that there are many ways that you can successfully format and write your resume. I was lucky enough to have a former University of Oregon student help me while I edited and updated the format of my resume. 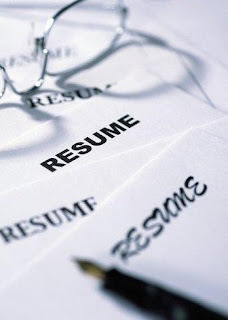 In a recent post, Staci Stringer offers many resume tips and hints on her blog. Staci offers quite a few helpful hints, but a few stood out to me in particular. First and foremost, it is important to keep your resume to one page or less. Even if you have a lot of experience, it is important to keep it brief. Think of your resume as a hot piece of real estate and use it to highlight your unique skills and attributes. Social media skills are unique and would be important to speak about in a resume. Staci explains, "many employers these days are looking for new talent that hold that skill set. So don't be shy." Last but not least, Staci advises students such as myself to be adventurous and try new styles, fonts and formats. It is easy to get stuck with traditional formats, but being adventurous, within reason, can really set you apart in a unique way with your resume. Don't forget to have a few extra sets of eyes look over your final product and encourage edits and positive criticism. 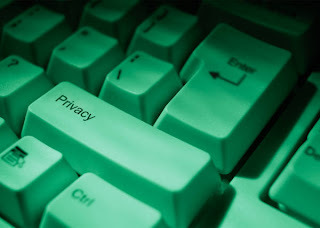 A recent content rights battle regarding facebook has many discussing the topic of privacy. Is your content really yours? Despite the outcome of the battle with facebook, it brings up the important topic of content. I personally believe that your content is your own. How you choose to share that content is also up to you and your discretion. According to a recent blog on Bulldog Reporter, some facebook users have expressed anger towards facebook because the company "may retain archived copies of your User Content" even after your account has been deactivated. While I understand these user's frustration, I feel they need to take more responsibility for how and when they share their personal content. When you register for a social networking site, such as facebook, it is your responsibility to read the terms of service before adding your personal content. After submission your content will still belong to you, however, your decision to share that information has made it public. It is important to be fully informed and educated about a social networking site prior to submitting your personal information and content. If you understand the terms of service, then there should be no reason for frustration or confusion over the ownership of your content. The fashion industry has begun to use twitter to promote their products to consumers. Twitter is a social media networking site. Twitter encourages users to update their followers by answering the question, "what are you doing?" It is interesting to see how a social networking site, such as twitter, can be used to inform consumers on fashion updates and trends. Fashion lines and apparel companies such as Baby Phat and Nordstrom, have begun using twitter to update fans on fashion trends and events. This year at fashion week, the Baby Phat twitter profile was updated frequently to keep consumers informed. 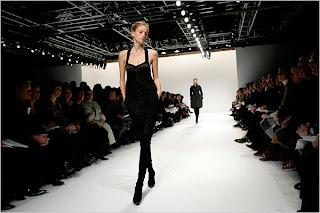 A fashion blogger commented on this in a recent post, "I applaud Baby Phat's efforts to be accessible to consumers through social media"
I think it is appropriate and smart for clothing lines, such as Baby Phat, to update consumers on products from events such as fashion week. I do not feel it is appropriate, however, for fashion designers or department stores to advertise through social media. Social media is about relationships and two way communication. It is about building trusting relationships with others and listening to what they have to say. It is not and should not be a sales pitch. I think it is unethical to portray yourself as a member of a social media network, when your true motive is to sell products to consumers. I look forward to searching for my favorite designers on twitter. I feel that I could benefit from trend updates and fashion tips, as long as the relationships remain positive and honest.